Originally founded in 1919&nbsp under the name of Dumas, this city, nestled in the cliffs of the fjord, enjoys the freshness of the river that runs across its territory. In 1979, the city changed its name to Petit-Saguenay to honour its river. 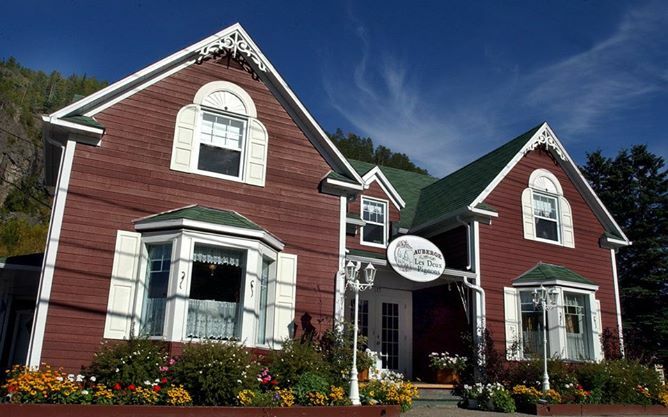 An extraordinary nature haven with its sumptuous gardens, Petit-Saguenay won the Campagne fleurie contest in 1986. The city also won the Village fleuri national contest on many occasions. The municipality of Petit-Saguenay became prosperous in part because of its sawmill built in 1842. Unfortunately, after almost all the pine trees had been cut down in the surrounding area, the mill closed a little after 1870. Nowadays, Petit-Saguenay lives off its nature, which visitors come to enjoy. Indeed, the Petit-Saguenay river is the perfect place for fishing of ice fishing. Its surrounding forests invite hikers to discover the exceptional landscape they conceal. The reserve faunique de la Petite-Rivière-Saguenay also invites you to discover the wonders of its surrounding nature and to do all your favourite outdoor activities. Come spend a few days in the outdoors of its generous nature.